Hiring a caterer for your wedding? For many brides, this is their first experience contacting a caterer, so many don’t know exactly how catering works. Others are seasoned pros, either from personal or professional exposure. Regardless of your level of experience, though, these tips will benefit all brides. Unique and special locations can be really fun and impressive, but just know exactly what you’re getting into ahead of time. Ask your caterer if the company has worked with your particular venue before. 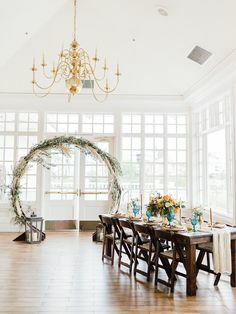 If it has not worked with your venue, the company should request a walk-through of the location before planning out the details of your reception. Your catering professional will need to make sure it can bring in trucks with equipment, carts and other deliveries. People will always remember poor service, so if you need to cut costs because of budget restraints, lower your food budget before you lower your labor costs. 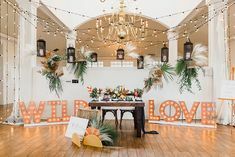 This is especially essential to brides and grooms planning their own weddings because they will need to be in constant communication with their vendors. Poor service = disjointed communication, and that is a recipe for a stressful wedding disaster. Consider skipping a course, or not having plated meals at all. Incorporate family-style salads instead of individual ones, or provide a grab-and-go dessert to save money on food costs. 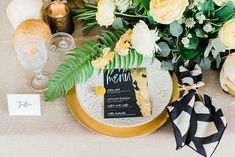 The grab-and-go desserts could also double as your wedding favor, distributed in personalized bags with the bride and groom’s names and wedding date on each of them. Talk with your caterer about using different cuts of meat (i.e. filet or coulotte) and seasonal menu items and ingredients—which often dictates pricing—to determine what fits your budget needs. Take a look at your prospective caterers’ websites. Do any of them work specifically with weddings? If yes, do each of their showcased weddings appear to be unique and personalized for each individual client couple? They should if you’re considering using them for your own wedding! 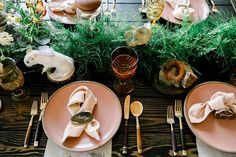 A good start in narrowing down your list of contending caterers would be to look for real wedding case studies, photos and other wedding-specific information online. Take each prospective caterer through a round of online criteria before making your phone calls. This will save you lots of time. Your caterer should give you plenty of options to completely customize your wedding. From napkins and drink sticks to centerpieces and dessert tables, your reception can—and should—have your name (or initials) all over it. This one is a fun and festive catering tip for all of your 21-and-over guests to enjoy. Maybe it’s a drink that features an ingredient the bride and groom just love, or maybe it’s a cocktail that reminds you two of the first beach vacation you took together. Either way, consider working with your caterer to design a specialty cocktail to make your day even more personalized. Many vendors will reach out to additional vendors on the same event, but for some, this proves difficult. Consider having a meeting with every vendor involved in your wedding day so that each can solidify a timeline, including delivery times, setup, loading and unloading times and dock preferences. If you voice this vendor concern to your caterer, most will take care of organizing this timeline for you since caterers are often the Chief Problem Solvers for weddings. I am trying to help my friend plan her wedding and we are stuck on trying to find a caterer for her reception. I really liked your tip about connecting multiple vendors. This seems like a good way for my friend to get everything she wants at her wedding. Most places only offer part of the service she wants so connecting them will probably be the solution to our problem. These are some good tips to consider when catering. I’m glad that you mentioned to ask about personalization, and that you should have options to completely customize your wedding or event. This seems like it’s a great way to make your wedding unique, or even stick to the overall theme you have going. Not only that, but being able to discuss your planning with the caterer could be a great opportunity to brainstorm some new ideas.